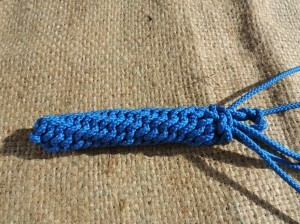 Sometimes it is nice to do something fairly simple and quick, they also make a nice little gift for someone. In this particular case I used some blue colour line, well I actually used 3 x 70″ inches worth to create a small fender. Take the three strands of 70″ colour line and fold in half to find the centre. 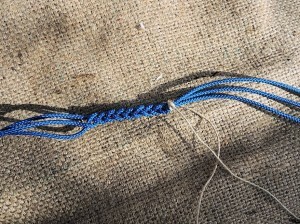 Then about 1.5″ from the centre tie off the three strands. 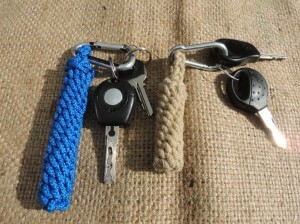 This will eventually form the loop of the fender to attach your keys. Then start to plait the three strands, long enough so that when folded in half it will make a nice loop. Once you have plaited the three strands fold in half and tie all six strands together, as close to the plait as possible to keep the plait nice and tight. 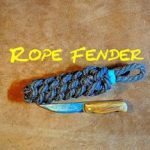 Depending on how long you want to make the body of the fender, next tie a of the six ends where you want the body of the fender to start. Obviously the longer the body of the fender the longer you would want your original strands to be. I my case I just wanted the fender to fit nicely in the hand with a little bit more. 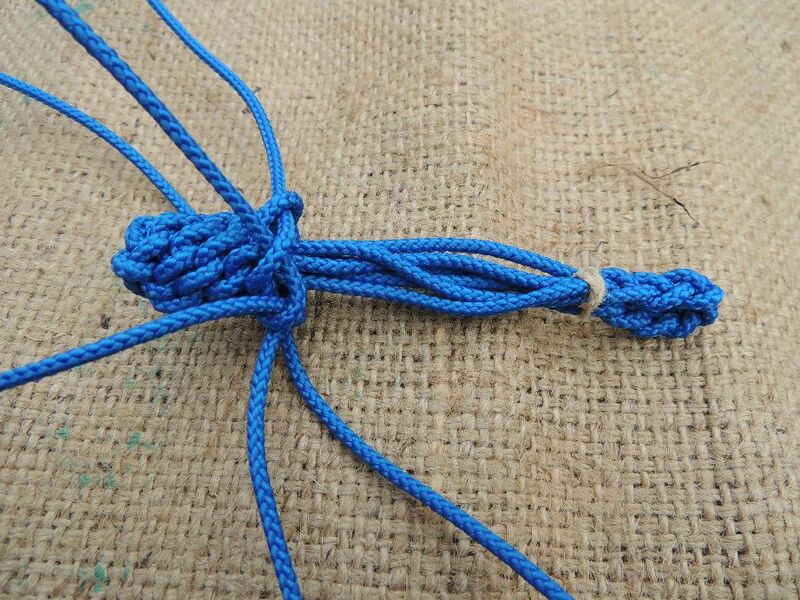 Where you have tied the six strands together at the opposite end from the plaited loop, now create a crown knot. 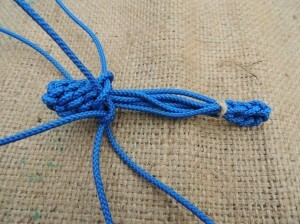 This will allow the following knots to sit on a firm shoulder. 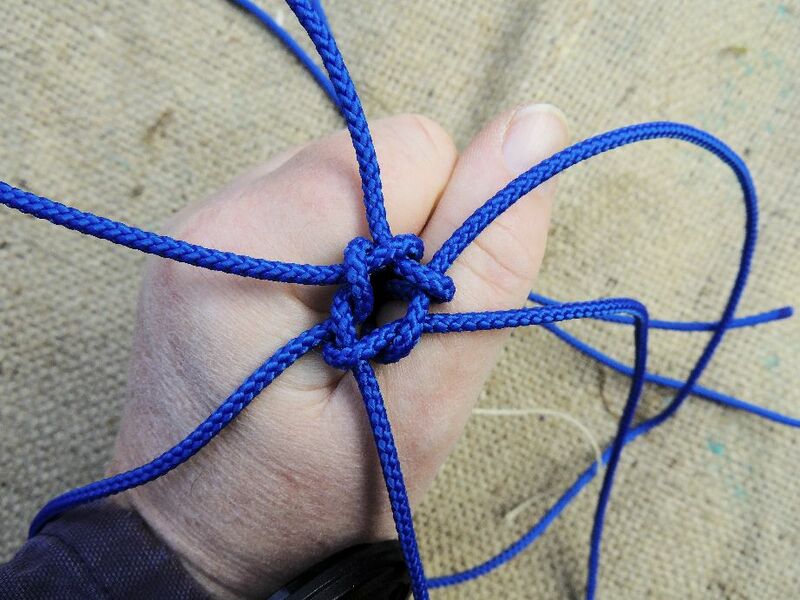 Now you can work your way up the six strands towards the plait with a series of wall knots. 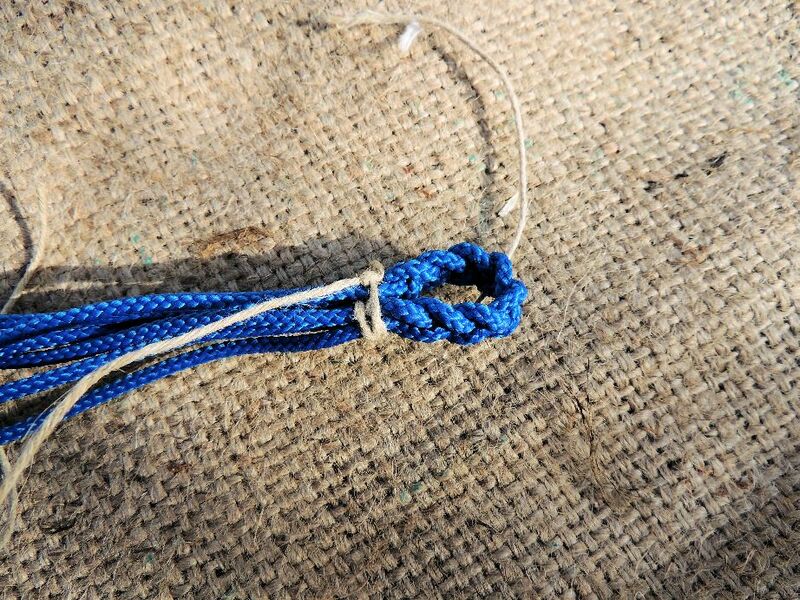 As you work your way up, pull the cords as tightly as possible, thereby locking each row nice and tightly. Finally when you get to the top of the fender keep going till you get to the plaited section. Then at this point take two opposite strands and let them go straight up past the plait. Then with the remaining four strands tie a double crown knot loosely, after the first crown knot, create another following the original so that the stands end up in the centre of the crown knot. 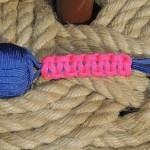 When this is done, they can then be pulled up as tightly as possible. 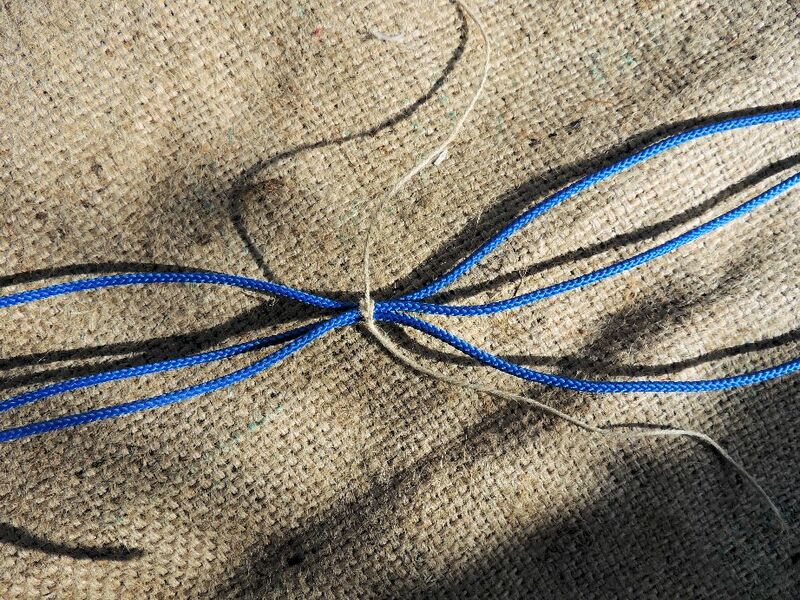 For added security and to prevent the knot coming undone it can sometimes be useful to secure the final set of knots with a dab of super glue. Some of the purists will shudder at this, but hey if it does the job, then it’s fine to do! Hi, this is really nice handmade keyring ! 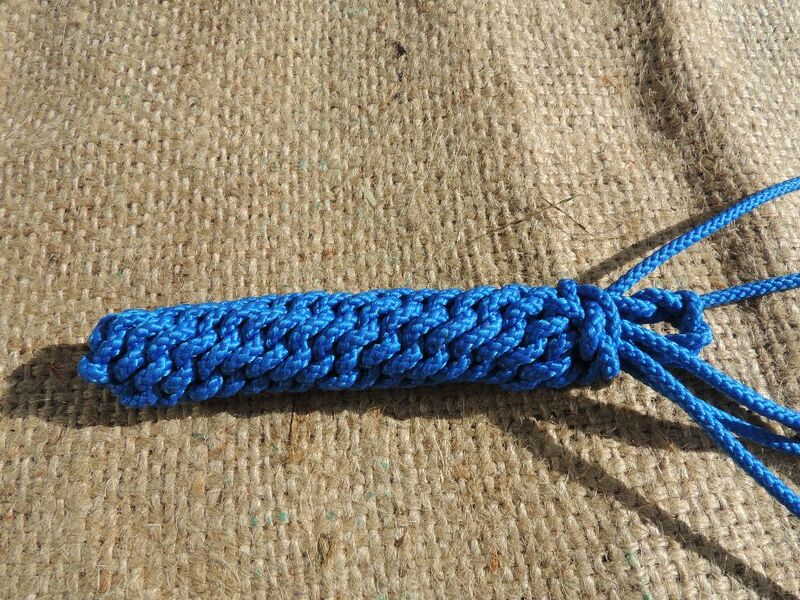 It’s good looking and endurable, I’m gonna make some for my own, thanks very much for the sharing ! 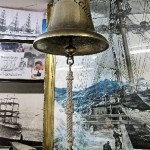 Many thanks for visiting our site. I have to say that the fender keyring is very easy to make. The one that I made for myself is still looking in good condition, maybe a little dirty though.